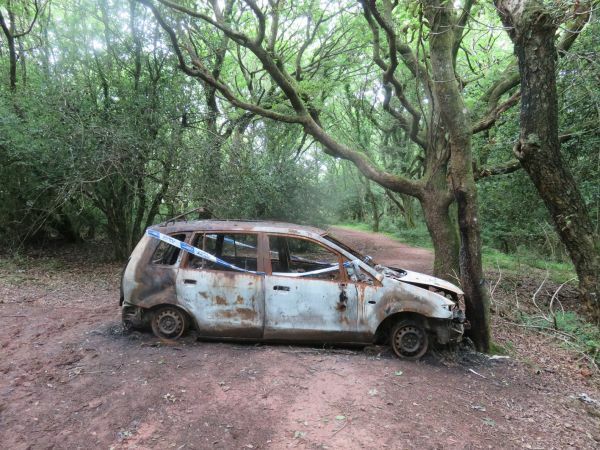 Two weeks ago a car was driven 200 yards down a bridleway across our land on Over Stowey Custom Common. It was then set fire to, destroying the vehicle and causing damage to adjacent trees. All identification had been removed and despite police efforts they have been unable so far to trace the culprits. We are now left with the costs of removing the vehicle and clearing up all the broken glass and debris. How sad that anyone should find pleasure in such activity within a beautiful area maintained for their benefit.